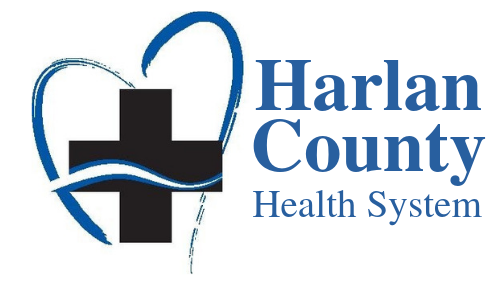 Harlan County Therapy Center is a hospital based rehabilitation clinic, which covers outpatients and inpatients. Our mission is to operate with honesty, integrity and compassion that exceeds the expectations of those who place their trust in us. We have recently remodeled our facility to make it update and add more treatment areas. With this addition, we have a hand/shoulder station with a TV where patients are treated or can relax with some ice after treatment. Rubber flooring has also been installed to decrease joint impact during treatment and agility drills. We currently supply home football game coverage in Alma for any injuries that may arise. We will work any other sporting event if requested. We are also working on adding a program to teach athletes how to help minimize the risk of ACL tears. Our highly trained staff will continue to stay up to date with the latest research and techniques, and we will continue to look to provide care and programs with the improved health of our patients as our primary goal. Please contact us if you want to get started with any physical, occupational, or speech therapy. If you want to learn more about what we do, call us and we would be happy to answer your questions. We have appointments available from 7:00 am until 4:30pm, sometimes later if needed. A billing coordinator can answer any insurance questions you might have. Check our website for any other questions or to meet our staff. Orthopedics: From post-operative care to simple ankle or wrist sprains ... we treat all ages for a variety of common or complex problems. Sports: We assist athletes in return to activities more rapidly and more safely, along with education to the athlete, parent and coach. We also work closely with the doctor and/or athletic trainer. Spine: Back pain, neck pain and headaches affect nearly everyone at some time, and we offer manual techniques including joint mobilizations and muscle energy techniques as well as general exercise and education. Neurological: Have a stroke, brain injury, or another neuromuscular disease, such as Parkinson's? Our therapists can help you regain you strength, flexibility, and balance in order for you to maintain a healthy and safe lifestyle. Geriatrics: Strength, endurance, and balance deficits affect a lot of the elderly population and can result in life altering falls. Our Better Balance Program can help you regain those areas that you have lost and prevent further falls. Speech Therapy: Having swallowing, cognitive, or memory issues after a stroke, brain injury, or from another neurological problem? Our speech therapists can assist you in these areas. Occupational Therapy: We treat hand and wrist injuries through a variety of techniques, such as manual therapy, splinting, and fluidotherapy. Also, we work on home safety and self-care training for our geriatric and neurological population.